Norrin Radd, a favorite character of both Stan Lee and Jack Kirby, the philosophical, self-sacrificial alien who surrenders his freedom twice -- once to save his world, and again to save the Earth. 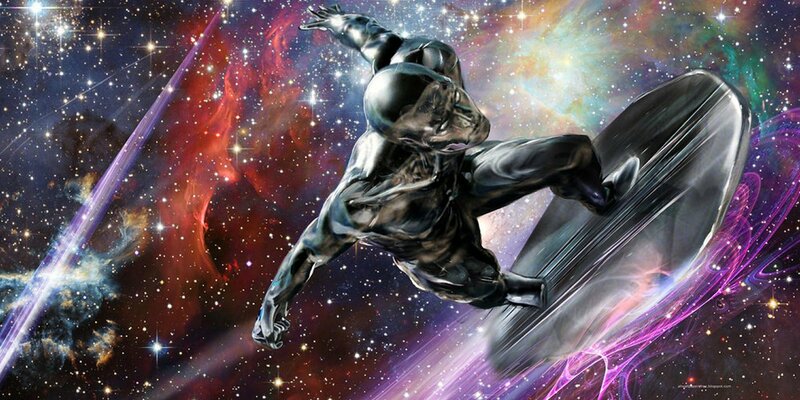 Development on a Silver Surfer movie has occurred many times over the last few decades, and when the character finally made his cinematic debut in Tim Story's second Fantastic Four movie, Fox was aiming at a spinoff series. Unfortunately, the Silver Surfer's rights are now languishing with 20th Century Fox, so it doesn't seem likely that he'll make an appearance in a Guardians of the Galaxy film anytime soon, if ever. Though Silver Surfer played a role in the Infinity War/Infinity Gauntlet storylines in the comics, the movies are going to have to get by without him.